My Main Line Stitchers chapter has been working with open canvas projects more this year. 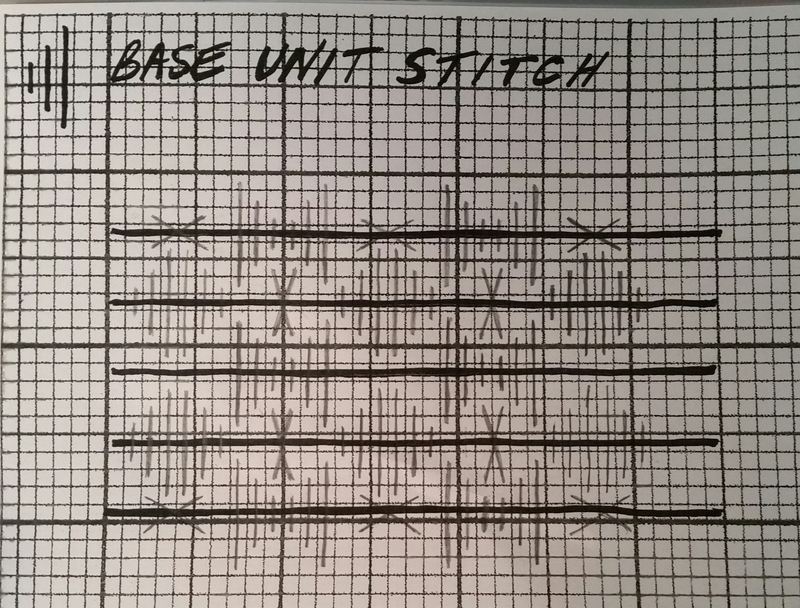 So, this month’s exercise will be to create our own pattern. 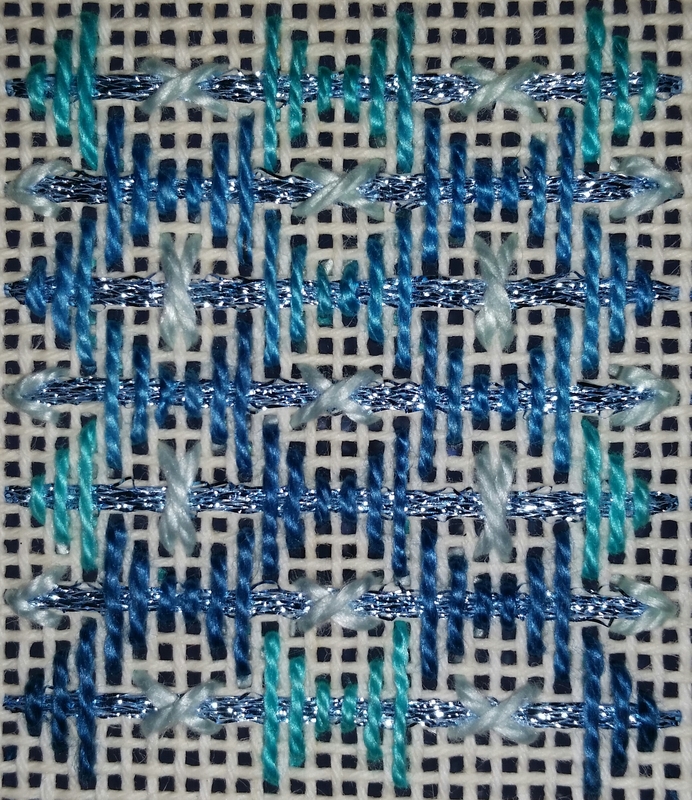 I selected Pattern 37 from Jean Taggart’s Laid Fillings for even weave fabrics. 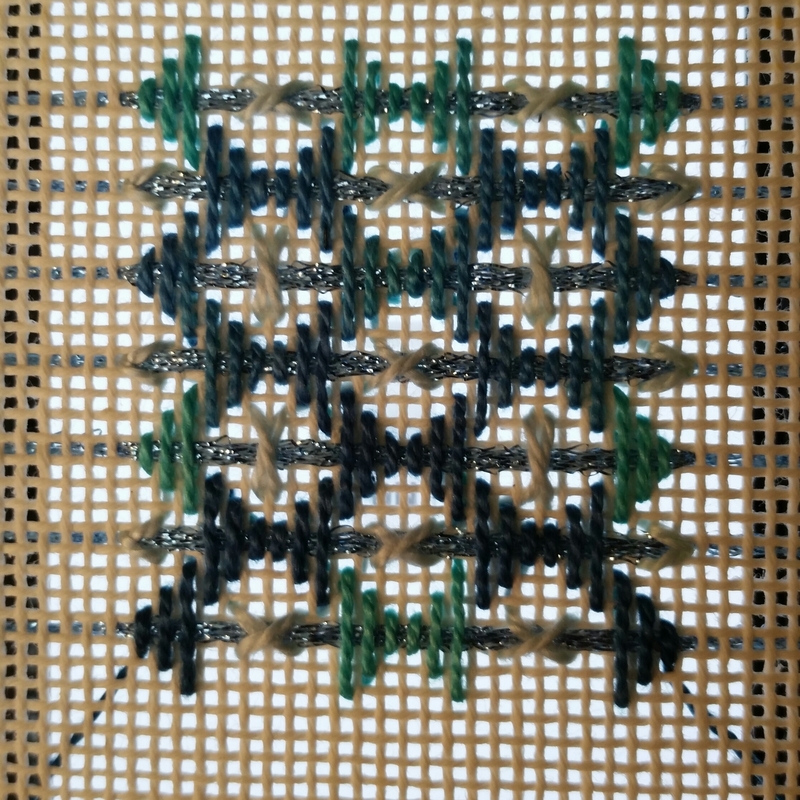 The key is not only to start and end threads under other threads but move around the canvas under threads that are already in place. To show this, I placed a flashlight under the canvas. 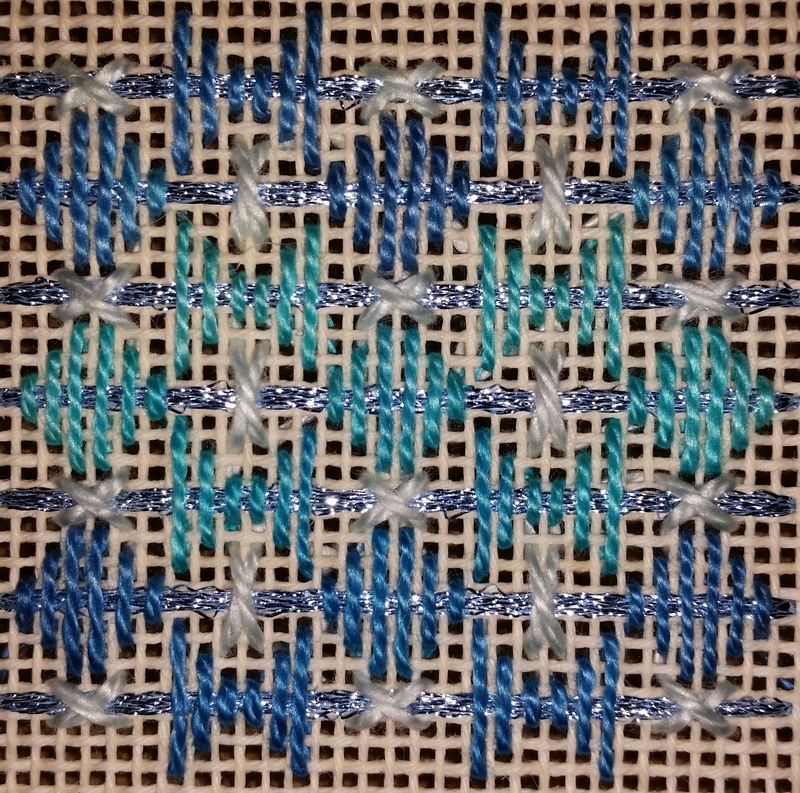 Here’s my pattern.